You have just asked a pretty good question! Primitive camping is unlike ”camping on campgrounds” that have hookups. Things like having access to services like electricity, water, sewer, et cetera). Dry camping is having no access to hookups but doesn’t necessarily mean you’re not on a campground. However, it is obvious that you’re camped without any of the social amenities. What is primitive camping? Primitive camping is best described as ”camping for free on public lands, outside of a campground. With no access to social amenities like hospital, electricity, tap water, sewer, or garbage just to mention a few. 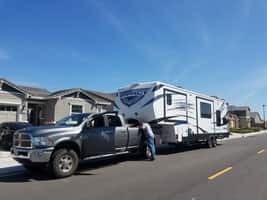 There are a lot of people that enjoy the loneliness and dispersed experience of camping away from developed campgrounds and maybe other campers. In reiteration, primitive camping is the common term being used for camping virtually anywhere in the National Forest or the like. This is usually outside of a designated campground. Furthermore, primitive camping means no access to services such as water supply, power supply, trash evacuation, et cetera. In some cases, it may also include little or no facilities such as a refrigerator, electronics, tables, fire pits, being provided. For your information, there may be some well-known primitive camping areas that may have toilets. It is paramount to note that there are extra responsibilities and skills that are necessary for primitive camping. Having said that, it is indeed your responsibility to know what is needed before you set out to try this new experience. More often than not, the camping rules and regulations are to make your experience pretty cool, and safe. They also help preserve the natural resources beautiful, pleasing, for other campers to utilize. 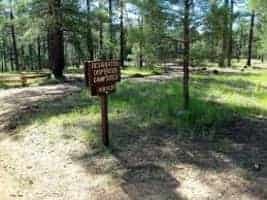 The best way to find out what available areas are open to primitive camping is to simply check with the nearest Forest Service office near the land you wish to visit. Primitive camping is usually not allowed close to the environment of developed recreation areas likes campgrounds, picnic areas, trailheads, et cetera. There are a good number of people that will drive out on Forest Service roads and into the woods. Then look for a clearing or a spot near a stream, or a view of the mountains. You should make sure that you don’t drive on meadows in a bid to access your camping site. Also, make sure you drive on existing roads to prevent resource damage and wastage. Primitive camping is usually allowed in a one (1) mile perimeter of the area where campgrounds are located, and a hundred (100) feet from any stream. 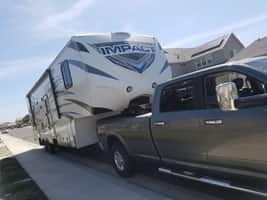 In order to prevent resource damage and wastage, please make sure to keep your campsite within a hundred and fifty (150) feet from a roadway. It is important to note that if you are going to an area where other people have camped, select a site that has been used before. The reason being is that – plants, soil, and wildlife are most impacted by new campsites. So, therefore, utilizing existing ones will more or less minimize your impact in the forest. Remember if there’s no existing campsite available, then you should follow the underlying ”Leave No Mark” guidelines. Try to make sure you camp on bare soil if possible, in order to avoid damage and perhaps killing the plants and grass. Make sure that you don’t camp within hundred (100) feet of any water source. The reason is that the plants near any kind of water are especially fragile in nature. Make sure you don’t camp in the midst of a clearing or meadow. If you should always try to make your campsite less visible in order to allow other visitors to see the pretty “wild” setting. Also, make sure you don’t try to level nor dig trenches in the ground layer at your campsite. You should try to choose a tent site that is already level with pretty good drainage. It is advisable that you always use the existing sites and fire rings. Also, note that wood permits are not necessarily needed for use on the forest. However, if the wood is being transported home for personal use, be sure to pick up a permit at the nearest District Office saddled with such responsibility. By now most people know it is obvious that the National Forest has wildfires each year. A good number of these are caused by human activity, campfires that have escaped from primitive campers. Campfires are normally allowed when you are camping primitively unless there are stringent fire restrictions in effect. This is usually as a result of ”high fire danger” conditions. Also, have in mind that it is your sole responsibility to know whether or not there are fire restrictions. And if they are in effect before you go camping. You can as well learn about any fire restrictions by reaching out to the nearest Forest Service office. a) Endeavor to utilize existing fire rings if they exist. That said do ensure to reduce the scarring of new rocks, soil, and plants – by utilizing existing fire rings. b) Make sure that you choose a site that is obviously not in a meadow or clearing. And it is not next to a tree with shallow overhanging branches. Be sure to camp at least hundred (100) feet from any water source in order to protect the fragile vegetation. c) Clean the area of grass before you make a ring of rocks about two (2) feet in diameter at least. d) More specifically, if you didn’t come along with your own firewood, simply collect and use the dead wood that you find on the ground. In the same vein, make sure you don’t cut branches off live trees. On the other hand, if a well-known camping area doesn’t have dead wood on the ground, please be sure you bring your own firewood. Always remember that the animals, insects, and microorganisms in the soil, obviously need rotting wood on the ground to survive. e) Also remember – before you think about leaving your campfire, that you make sure you put it out completely. Even so, you should be well able to insert your whole hand into the ashes without being hurt. Yes, they should be cool enough to touch. Meanwhile, it is very important to stir the ashes to be sure all of the embers have cooled. There are a good number of forest fires that are usually caused by abandoned campfires that were obviously not completely out. 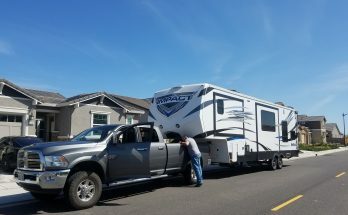 Is Primitive Camping The Same As Boondocking? Quite an interesting question but could also be a subject of controversy to some individuals. However, in my humble opinion, they both are the same in many ways but may differ in a few aspects. Reason being that – primitive camping and boondocking (obviously are just a slang concept people define differently) involves camping off the grid for free, usually on public land. While on the other hand, they both could slightly differ in terms of facilities. How Else Could Someone Spot A Free Land For Primitive Camping? 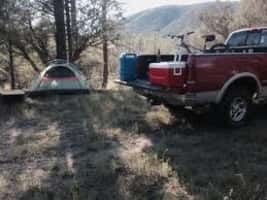 By having knowledge of specific public lands that allow free camping – makes locating or finding a free campsite much easier. Some reliable websites do have pretty good guidelines on a number of public lands that will allow dispersed or primitive camping (precisely camping anywhere on public lands, outside of a campsite). It is quite obvious that the Bureau of Land Management (BLM) and Forest Service lands – (for the most part of their dealings). They will normally allow dispersed or primitive camping for up to fourteen (14) days. Likewise, Wildlife Management Areas also often permit or allow it. But, you should be sure to check and confirm you that you don’t need a permit (In other words – there are no restrictions). Meanwhile, also remember to consciously keep an eye out for “no camping or lodging signs” too. Furthermore, most of the National Parks are often too populated to permit or allow primitive camping. 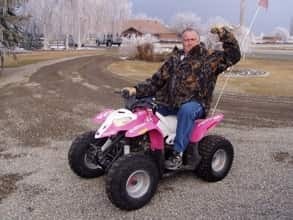 There are some that do allow backcountry, remote, and dispersed camping. But also check whether or not you would need to obtain a free permit. You might be lucky enough to find out that the park where you’re staying could also have a free developed campsite with little or no population challenge. As usual, be sure you check the BLM and Forest Service websites to locate or find such. You may even need to do some hiking at subsequent times, but it is well worth it. In addition to the above-mentioned tips, you also might be able to find or locate a city or county park with free camping features. More often than not, these places will advertise if they have any that are available. Regardless of where you plan to stay, always take advantage of the Internet to do as much research online in advance – as you possibly can. You can also get some information on the amenities that a particular site may or may not have. You can also know how populated or crowded it might be, et cetera. Meanwhile, if you’re planning on tent camping or camping primitively, also double check that you virtually have everything you need. Also note that these free campsites are often pretty far off the grid, as well as finding a place with supplies might be a pain. It is quite clear that online research is obviously a pretty good way to get a leg up on that which you’re likely to encounter when you are trying to find a place to camp. The BLM (Bureau of Land Management) field offices and National Forest ranger stations are also a great source of information. Remember, you could use the Delorme Atlases to locate the public land for each State you’d like to seek out. Motor Vehicles, on the other hand, do make use of Maps that are provided by the Forest Service. That also is a great tool as well. More often than not, those who go the extreme length to seek vital information before embarking on a primitive camping exercise. They are usually the ones most likely to have a great experience in the long run.